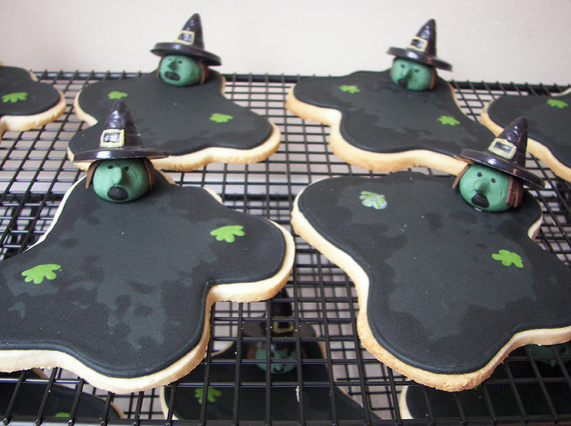 A piece of movie magic that you can eat, melting Wicked Witch of the West Cookies by Death by Cupcakes. On Point talks with New Yorker writer Adam Gopnik (radio link) on not just what we eat, but how we eat. The meaning of food and sharing is discussed in his book The Table Comes First: Family, France, and the Meaning of Food which argues that "the real meaning of food lies in continuity" and that "we need to think more about what goes on around the table." Wine in a box, wine in fake designer handbags, now wine in a can. Hmmm. If the idea of wine in a can makes you want to reach for a beer, a Scottish company has unveiled a 65% proof beer called Brewmeister Armageddon, the world's strongest.